Diane Wood has spent many years working in the Australian Criminal Justice system, including within maximum security settings, and has extensive connections to law enforcement that she draws upon for the authenticity of her stories. She lives in New South Wales, Australia, with her partner of nearly three decades. 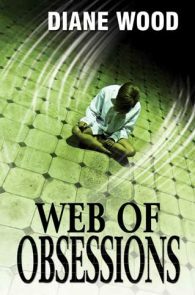 Web of Obsessions, Finalist, Lesbian Mystery. Web of Obsessions, Finalist, Lesbian Romantic Suspense/Intrigue. Diane Wood: Lavender Certificate for Debut Fiction 2014.